Teign Valley Tyres & Moor Park Garage. Moor Park Garage for some of the best tyre deals in Devon. CALL NOW on 01647 252458 to get a quote for your vehicle! 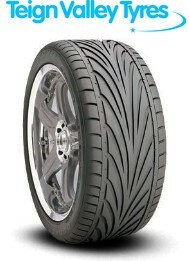 Help protect your new tyres and prevent premature tyre wear, with our 2 wheel tracking system. This system ensures that the steering and suspension geometry of your vehicle is set up to the original factory specifications. This greatly helps to ensure good tyre life and the correct road handling of your vehicle. CALL NOW on 01647 252458 to book in your vehicle!